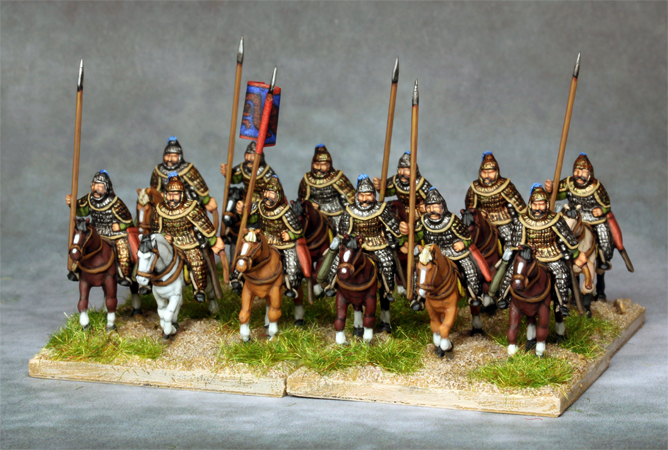 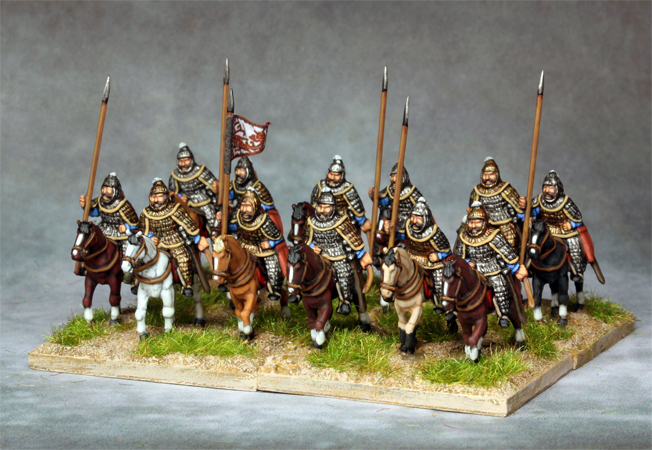 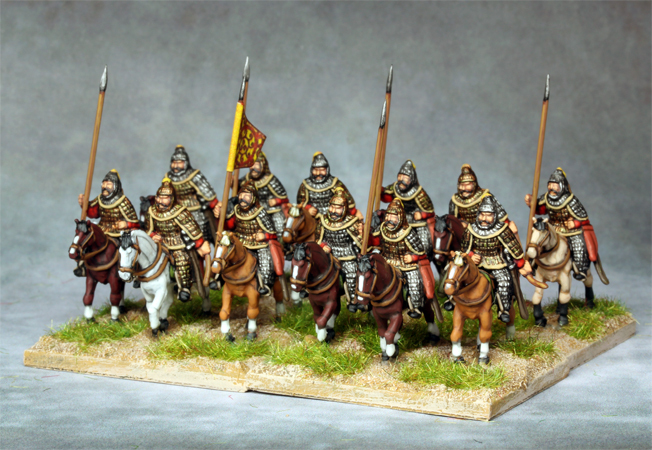 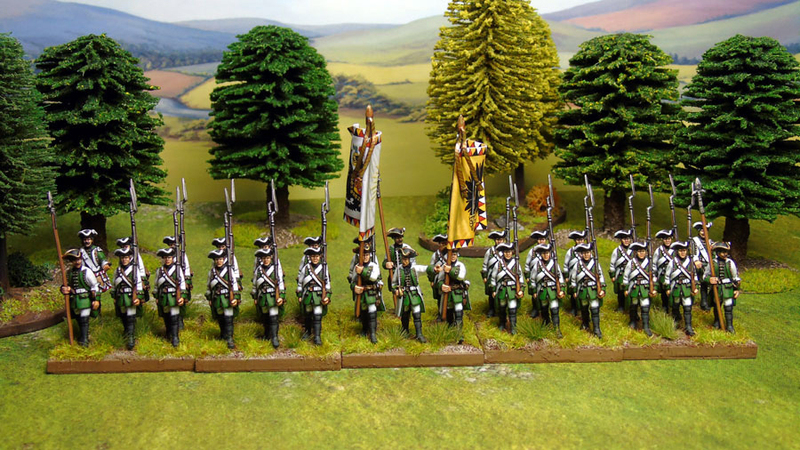 A final group shot of the 15mm Tang Chinese cavalry from Outpost. 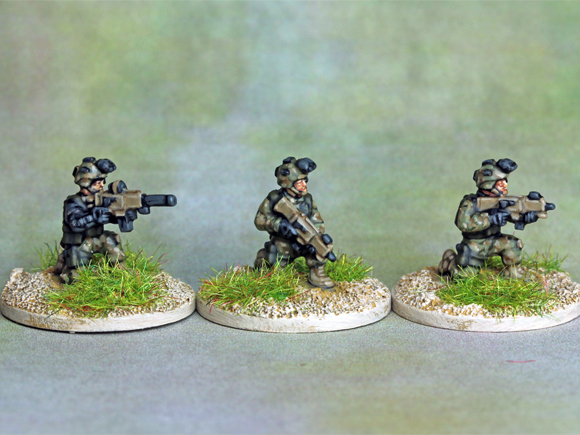 I'm not really set up for this kind of shot, so apologies for the quality. 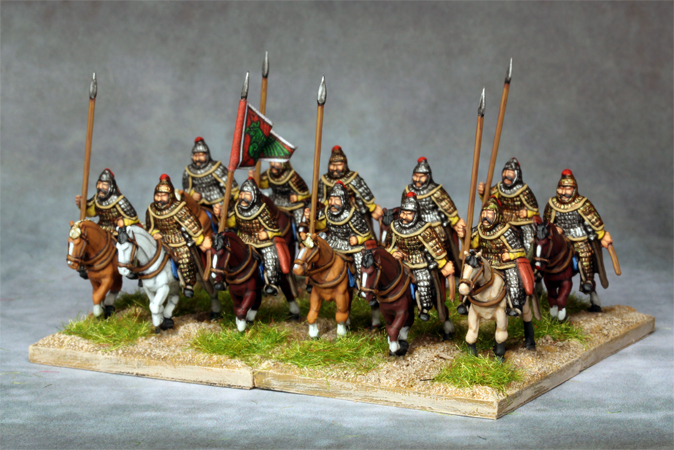 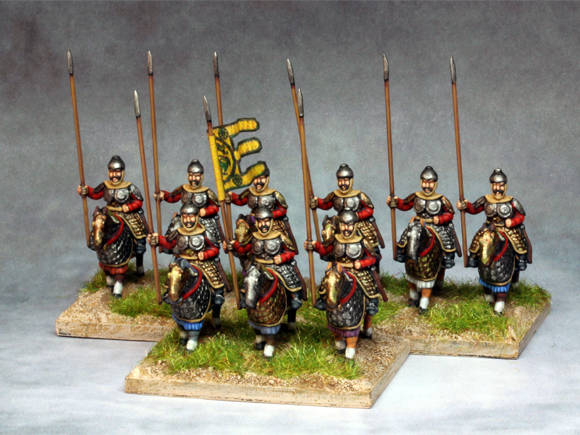 The last of four 15mm Tang Chinese cavalry units from Outpost. 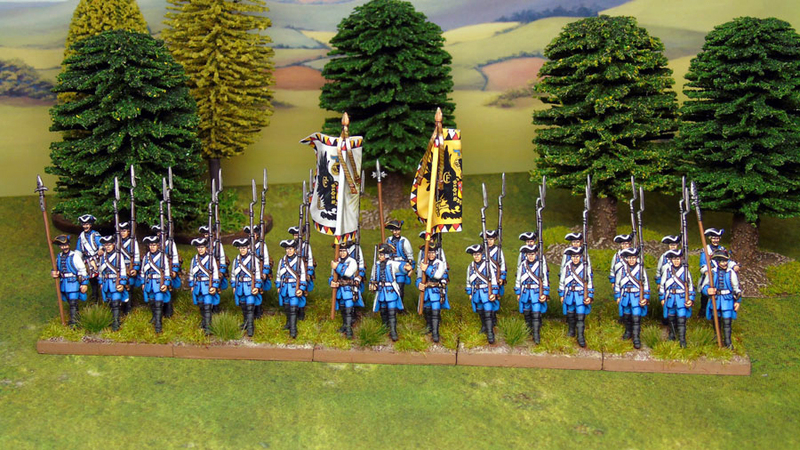 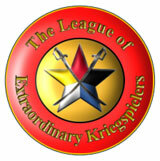 These can be identified on the tabletop by the white on the flag and their plumes. 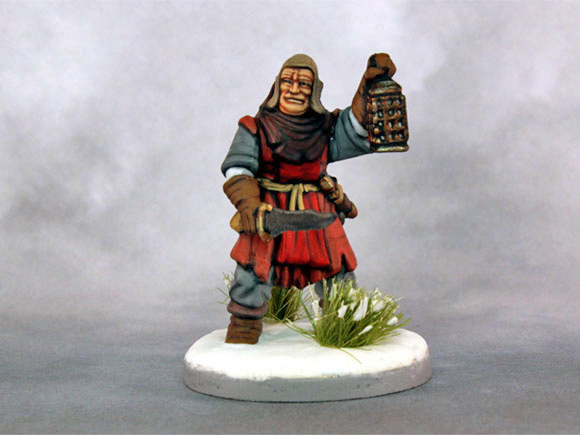 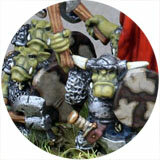 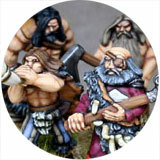 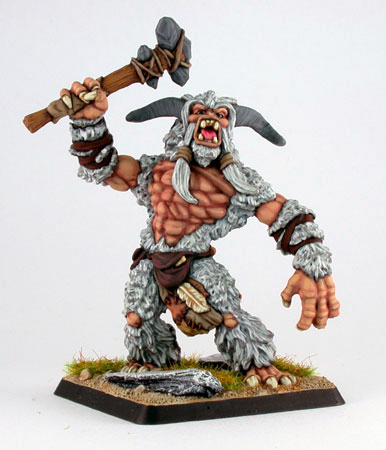 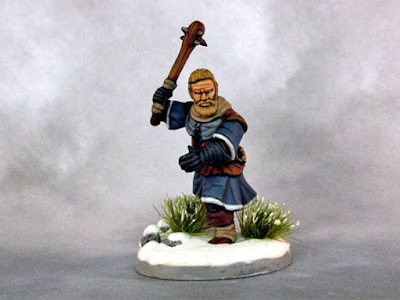 A Yeti Chieftain from Crocodile Games part of their Wargods range of figures. 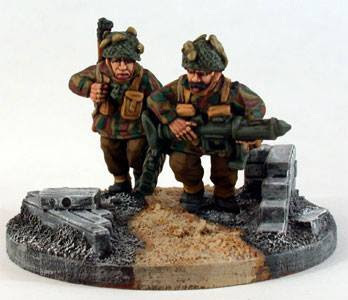 Painted many years ago. 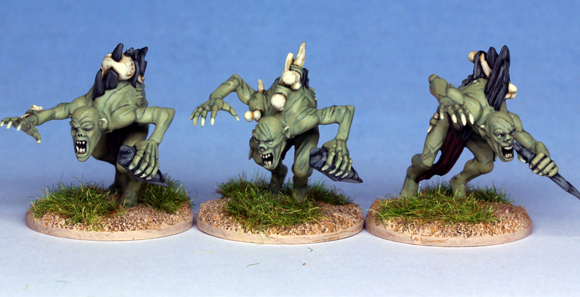 Some of the plastic GW Warhammer Undead Ghouls based up for use in Mordheim. 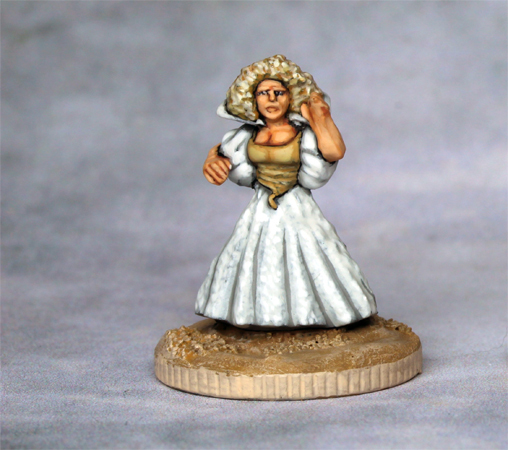 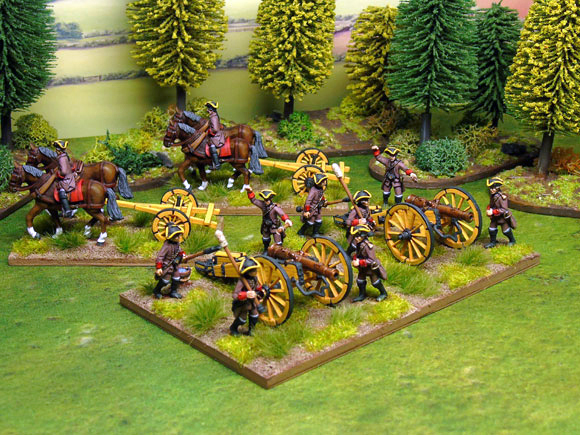 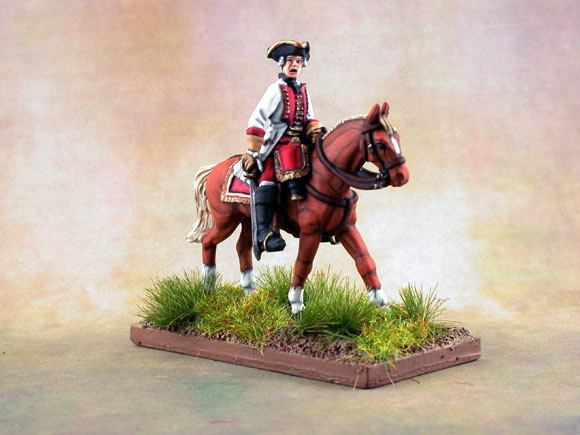 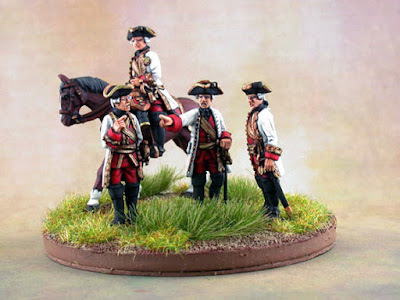 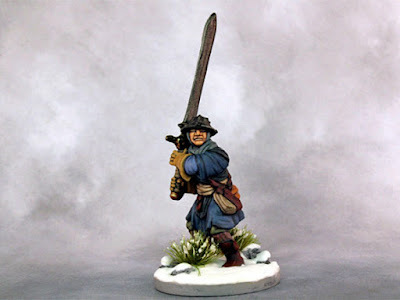 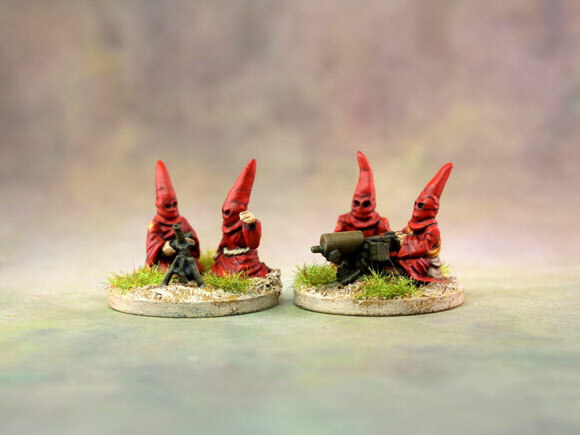 The Three Musketeers in 15mm from Blue Moon Manufacturing. From left to right Aramis, D'Artagnan,, Athos and Porthos. 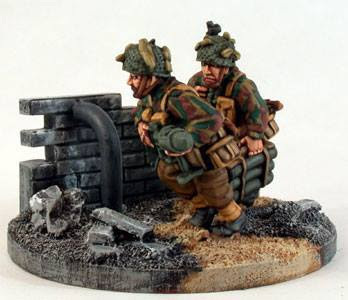 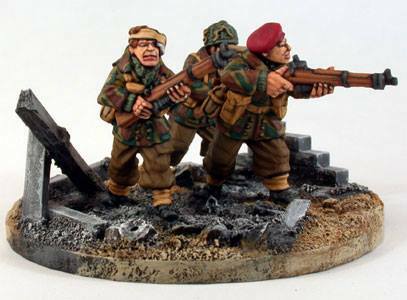 Part of a large WWII job that I painted many years ago. A mix of Artisan and Foundry figures. 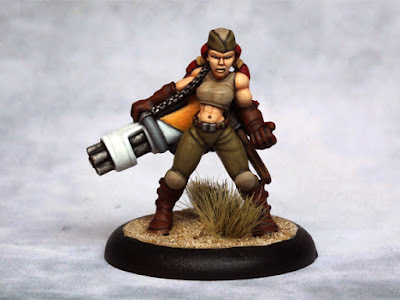 You can see the rest on the SDForum Facebook page. 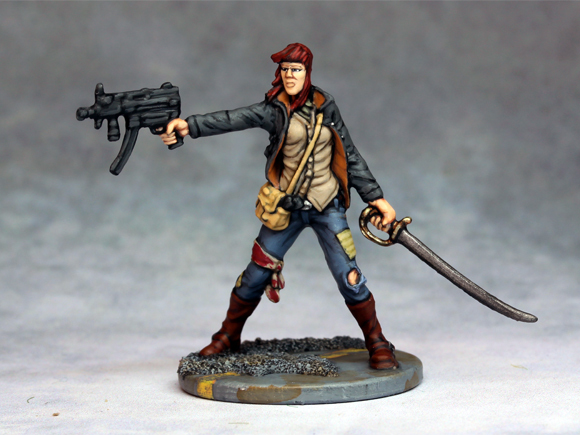 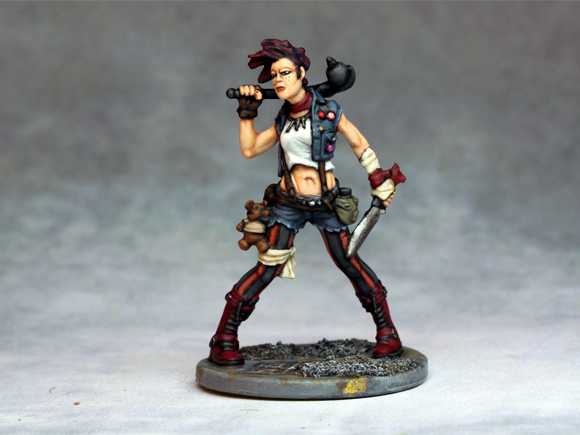 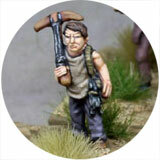 Painted characters from the Zombicide board game from Coolminiornot. Parker (top) and Maddie (bottom). 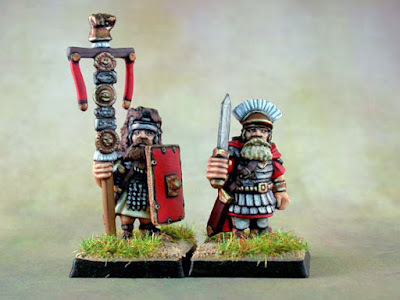 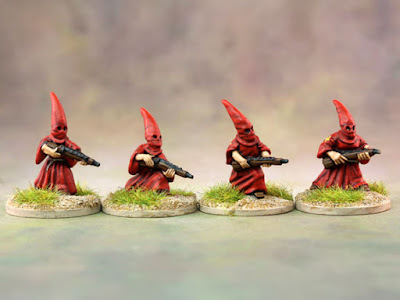 More Khurasan 15mm figures. 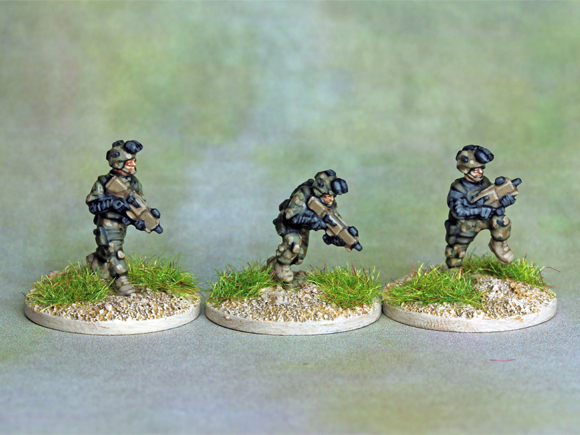 In a kneeling pose this time. 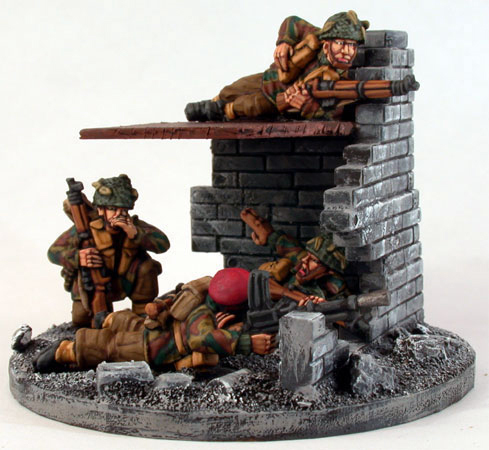 I'm not usually a fan of kneeling figures, but that guy in the middle is a great pose. 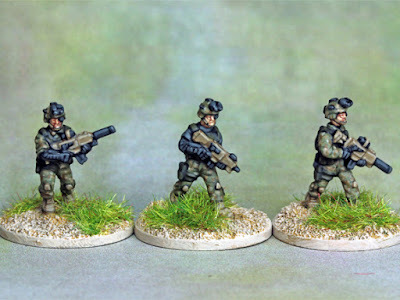 Only another six to do. 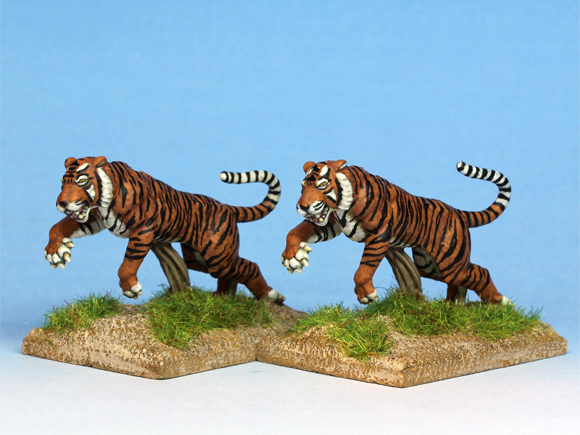 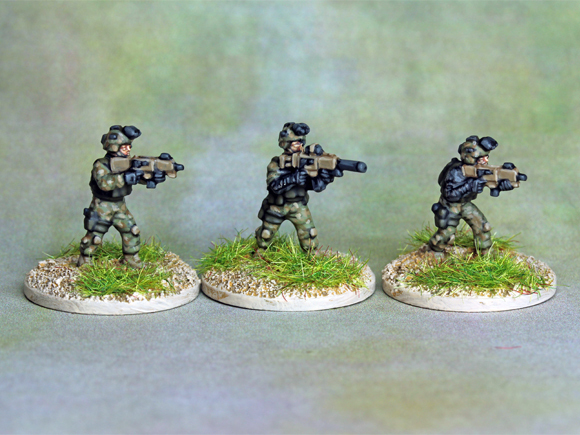 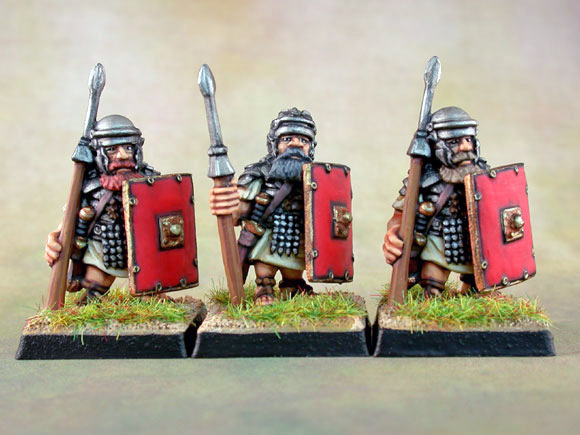 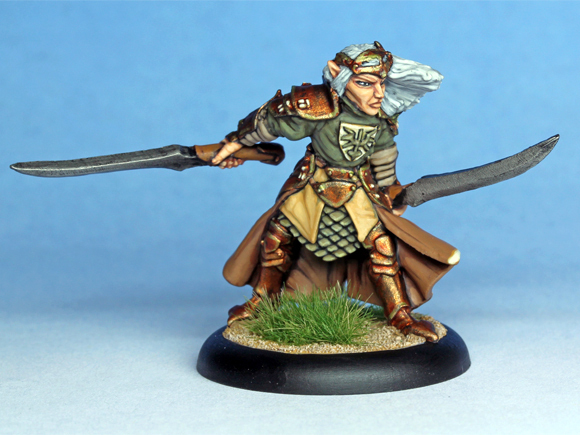 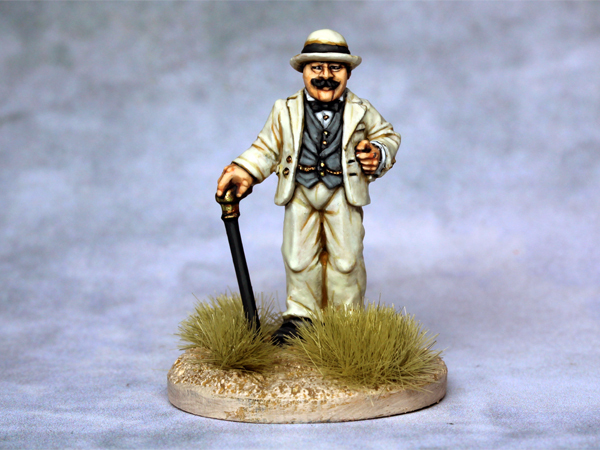 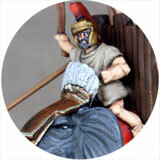 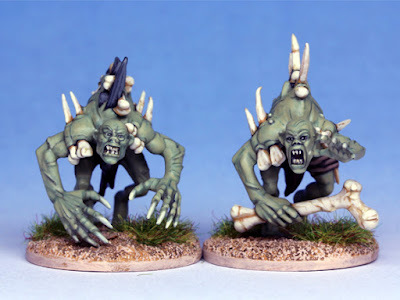 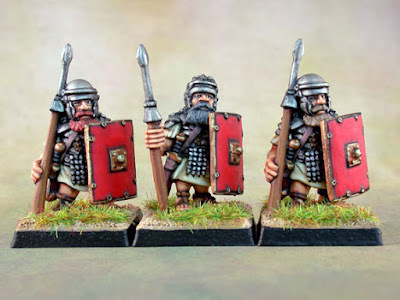 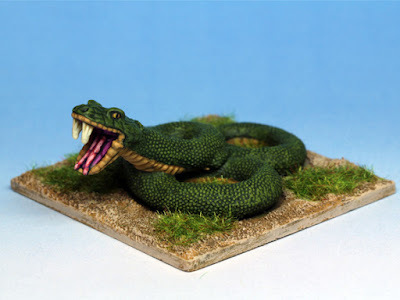 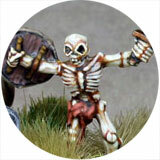 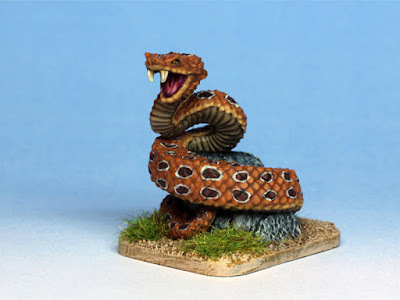 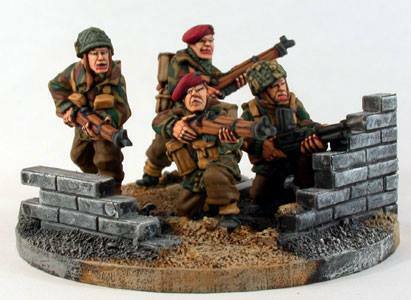 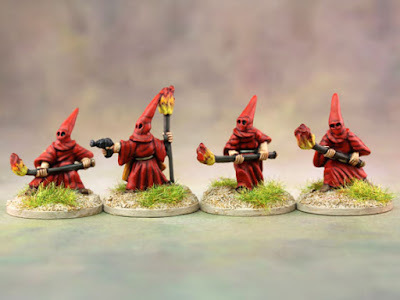 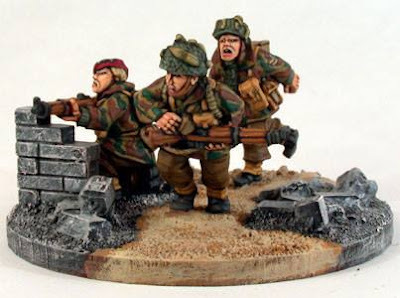 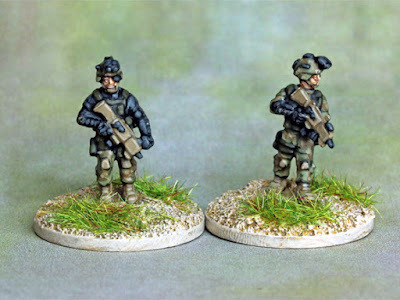 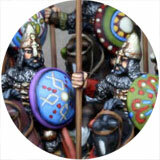 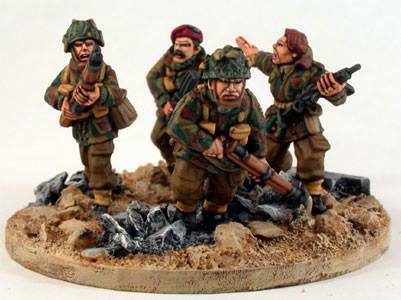 Three more of these very cool Khurasan 15mm figures. 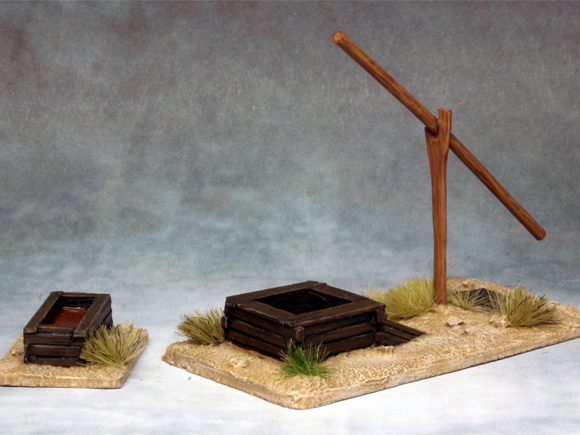 3 Elements of 15mm Tang Chinese Cataphracts from Outpost. 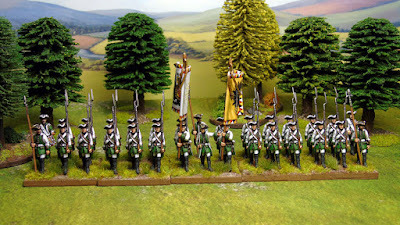 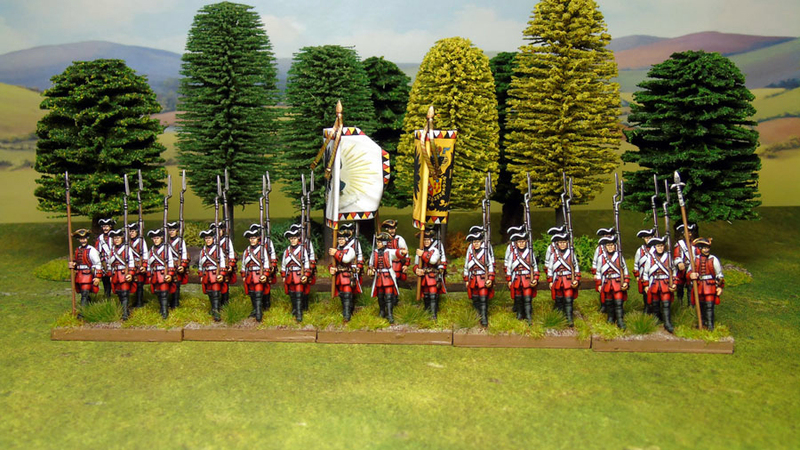 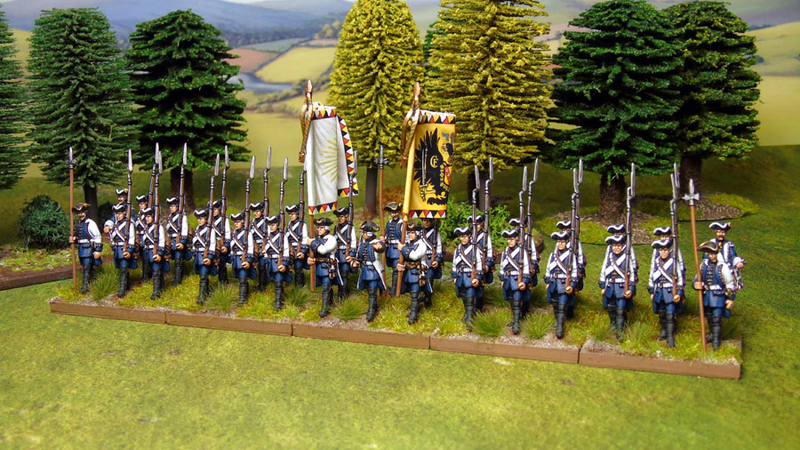 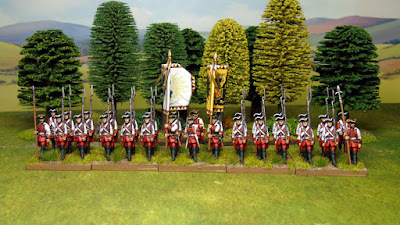 I prefer these to the rest of the cavalry in the range because they had cast on lances which I could drill out and replace with steel lances. The other cavalry have open hands, which I hate, because there is never enough of an anchor for the glue and the lances always break off if handled with anything other than kid gloves. An OOP Katrina Aldanov from I-Kore's Void game. Part of the VASA faction, I think? 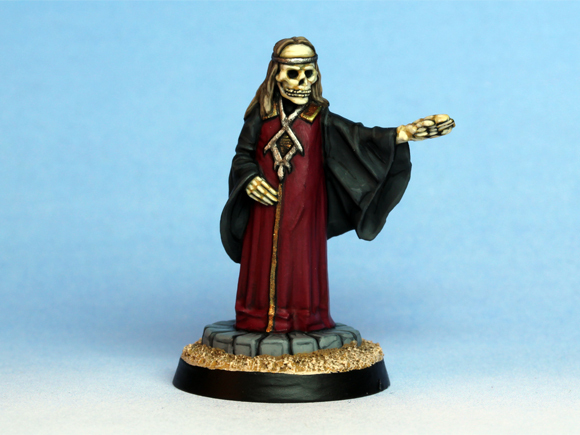 An Evil Undead Lich from RAFM. The thing I like about the Undead is the fact that they can be used in almost any setting, anything from the classic fantasy/RPG game through to a modern tomb raiding game and everything in-between.